Number stories, a.k.a. word problems, are very common in the elementary years. My daughters have been solving them and writing their own from the point where they first starting doing basic addition. 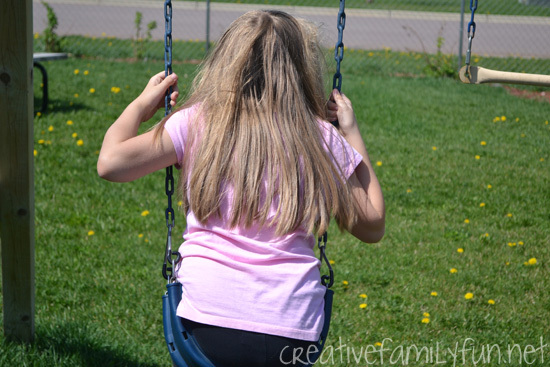 I talked earlier about what they are and how parents can help with number story homework, and now I want to share some fun ways to practice this math concept with some outdoor number stories at the park. As far as I’m concerned, my kids get plenty of time with workbooks and worksheets in the classroom and for homework. If we’re going to do some extra practice at home, I want to do something different. I want to make it fun for them, but still help reinforce the skills they are learning in school. Luckily, with number stories, there are so many fun things you can do with your child. Come along! 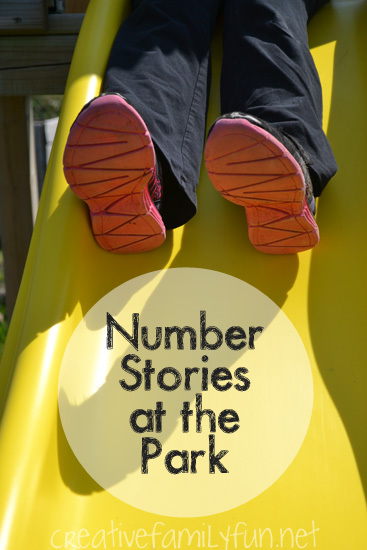 Let’s head to the park for some outdoor number stories at the playground. It’s so easy to squeeze in a few minutes of extra math practice while your kids are enjoying the park. 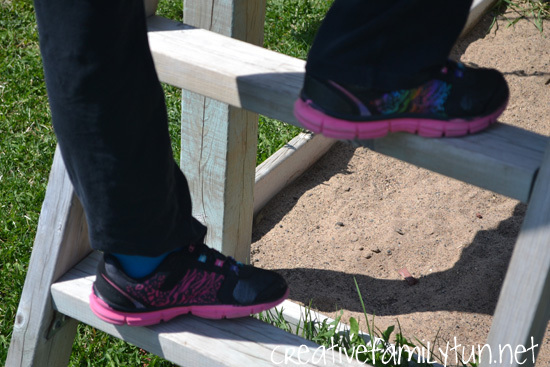 (And it doesn’t even have to be the park, we were using our backyard play set.) All you need is your imagination and a knowledge of the skills your child needs to work on. Right now we’re still at the subtraction stage with my oldest and my youngest is doing basic addition. As the kids are playing, work together to come up with your number stories. Incorporate the stories into your play. If E slid down the slide 2 times and A slid down the slide 5 times. How many times did they slide down all together? Let them slide to find out! If there are 5 steps on the ladder and E climbs up 3 steps. How many steps does she have left to climb? Let them climb to find out! What else can you and your child come up with? If there are 10 kids at the park and 3 go home, how many kids are left? 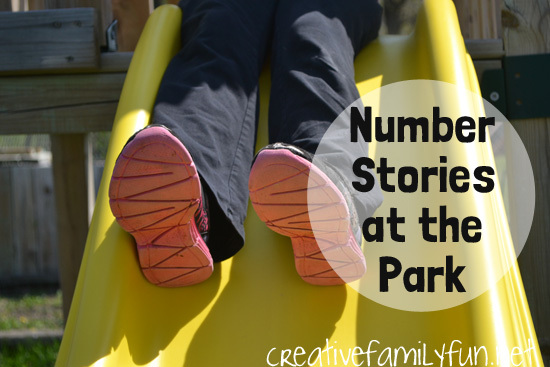 You’re already at the park, so have fun and play with some outdoor number stories!